We are happy to have World Record Spearfishing holder, Captain Dave Hochman of Spear-It Charters in to present his spearfishing seminar here on Long Island. Don’t miss this one! Sit in and soak up valuable information and tips related to freediving and spearfishing. Dave is a highly skilled hunter and diver. 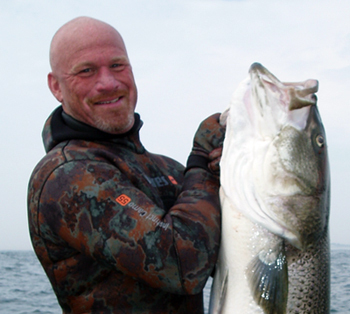 He will be here sharing the lessons he’s learned over many years hunting and diving in the waters of the Northeast. • Registration fee $35- per person. David Hochman is the owner and operator of Spear-it Charters. He is a licensed Chiropractor and Respiratory Care practitioner in the state of Connecticut. He specializes in spine disorders and sports medicine at Comprehensive Orthopaedics and is the team chiropractor for the athletics department at The University Of New Haven. He is a competitive freediver and dominated the NE spearfishing tournaments from 1997 to 2009. His team won the United States National Spear Fishing Championship In 1999. They placed 3rd two other years. David has personally speared 7 striped bass in the 60 pound Class. 9 bass over 60 pounds have been speared on his boat. He has 36 + personal striped bass speared over 50 pounds . He is the present holder of the world record speared striped bass. This spearfishing/freediving lecture and workshop will be an in depth study of freediving physiology and safety, spearfishing techniques and safety, gear rigging methods, and shallow water blackout. 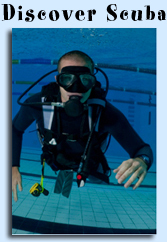 We will cover all spearfishing and freediving gear and the advantages and disadvantages of each. Discussion is welcome. The entire course is approximately 3 hours.